Independence Day – Why Must I Celebrate? My home, my country is 66 years old today. Come August and we start gearing up to celebrate Pakistan’s birthday, if we can call it that. The emotional patriot that I am, the whole “green” thing works for me. It is my time to re-visit the qaumi taraanaas (patriotic songs) and hoist a flag on my roof and go all teary when I see Quaid e Azam on the TV screen. In August, basically, I am having a crash course in patriotism. Like a 2nd or 8th or 16th honeymoon of a couple who over the years have forgotten what they mean to each other. So they take a trip down memory lane and sit and watch their shaadi movie and leave the kids with the grandparents and take a trip together to rekindle what’s left. In most cases, this stuff works. As in the case of me and Pakistan. But one minor issue. Let’s go back to the weird example about the couple. So imagine this. They have a great “re-kindle the romance” tryst at a far-eastern island resort, have spent a week together, and love is in the air. But then reality sets in once they return. The honeymoon fever starts subsiding. They slide back into the old pattern. The wife nags, the husband is indifferent and insensitive. She’s obsessed with her clothes and her family, he is a workaholic who gives her no time. Honeymoon goes down the drain. That might be, sadly, the problem with how we look at 14th August, or any ritual in any relationship for that matter, whether it is our relationship with a person, a country, an idea or even God. When we indulge into something without thinking and without reflection and introspection, all that remains is hollow and outward expressions of a love that is shallow. In a love that is deeper and more real (and most of us claim to love Pakistan), we must give back in return. The truest relationships are those that stand the tests of time. Relationships in which you feel an urge to do for your beloved anything that makes him/her happy. What can I do that would make Pakistan happy, I wonder? For sure, Pakistan LOOKS happy today. Celebration’s in the air. Fireworks marked the grand entry of the 66th birthday of my homeland at midnight. Everyone will be dressed in green (yes, me too, I confess!). Flags, songs, chants, slogans of hope, of better tomorrow. So yeah, sure, Pakistan looks all happy. Just like that couple looks happy in the 2nd honeymoon pictuers they post on facebook. But are they, really? And is Pakistan happy? Really? A REGISTERED 23% (almost) living below the poverty line, a dismal literacy rate, a non-existent state emphasis on health and education when compared to what we spend on defense, ethnic prejudice and violence, killing in the name of caste and creed, extremism, huge economic disparity, an increasing tendency of polarization in society; a society divided between liberal extremists and religious extremists, persecution of minorities; the list is endless. Poverty in the land of the pure forces people to commit suicide. Women are raped and silenced. Our government’s corruption has assumed legendary proportions. While minorities are persecuted, we, the Muslim majority (with all due respect) is essentially clueless about the true nature of Islam. We have not yet met Islam one on one, most of us. A reflection of us not knowing Islam is evident in tiny things like breaking the traffic signal and littering and losing tempers in Ramadan and also in bigger things like killing our fellow Muslims and Pakistanis. In a nutshell, Pakistan is not happy, really. Yet, I still DO celebrate the 14th of August. Not just because I am an emotionally labile person who reaches out for her tissue to wipe tears when she hears “Khayal Rakhna” by Alamgir and the Benjamin Sisters. Not just because I am in the 14tn August honeymoon zone. No. I have given it careful thought. And the reason lies in the last part of my friend’s tweet:”….I promise to work towards it”. With all the mess that it is in, when I look at that white-haired old man called Dr Adeeb Rizvi serving at SIUT, and I see people believing in him, I know there is something worth celebrating. When I look at the work Imran Khan has done at Shaukat Khanum and the work Edhi has done, I know there is hope. And not just the very known heroes. At grass root level, I meet a woman in Heera Mandi Lahore, running a school for literacy of her children. In the dangerous Lyari, a man is teaching children peace-skills in his school. My nephew is working with his group of friends as a small initiative to spread literacy among under-privileged children. At an even smaller level, my mother always would teach the children of domestic staff to read and write. She was a member of the National Women’s Guard in the years around independence, a fierce patriot, who still in spite of her dementia sings patriotic songs and tells stories of how she saw Quaid e Azam. History repeats itself when my daughter teaches an underprivileged child in her summer holidays. I land at Jinnah International and with all the negatives, the positive is that the chivalrous men of my nation will still help me with my luggage, and the poor fruit vendor may give me an extra banana free of charge. We still cherish good values. We are a poor nation (not talking about the ruling elite right now!) but one of the most charitable nations in the world. We have been through hell and Pakistan is a dangerous country to live in, but we are resilient, and all this “mess” is bringing out the best in us in art, literature, and very importantly in humour – yes, Pakistanis know how to have a good laugh at themselves. Deep down, somewhere, Pakistan is happy. But the emotionally charged paragraph I have written above still does not fully justify why I celebrate 14th of August. For me, the reason is multifold. Patriotism, unless ill-founded and leading to anger and an “us versus them” psyche, can be and is a positive force if used correctly. It re-kindles the spirit of volunteerism, a sense of responsibility towards one’s country and one’s nation. If coupled with a bit of reflection and awareness, it can remind us of important lessons long-forgotten. 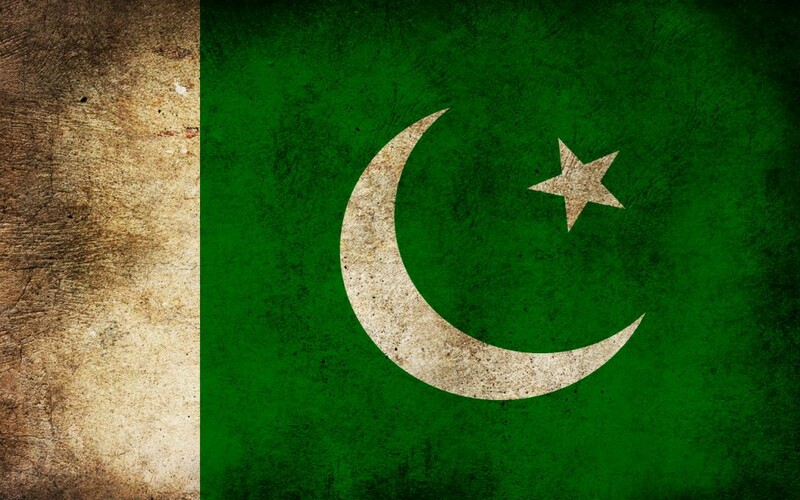 A small example would be that if we take a careful look at the flag of Pakistan, the white reminds us of the presence of minorities as equal citizens of the state. Disrespecting or persecuting innocent minorities is tantamount to disrespecting the basic ideology on which this nation was formed. Celebrating this day, as my daughter has made me understand, is important to her generation who have sadly grown up in a time where most of what they hear about their country is negative, skeptic and disillusioned. The new generation must thrive on a sense of hope and a sense of pride. So let’s give a careful thought today, each one of us, to what we are doing to make Pakistan happy. If we are positive contributors to the well-being of this nation, we have every right to celebrate the Independence Day, sing the national anthem and say Pakistan Zindabad. 🙂 If you’ll excuse me, I gotta go iron my green dress now. Farahnaz Zahidi works as a Senior Sub-Editor at The Express Tribune, and has a focus on human rights, gender, peace-building and Islam. Wow, I really loved this. This entire article gave me goosebumps, I hope we all can contribute to the prosperity of this country on individual levels. Because in the end each ONE of us make a nation,and yes thank you for that one paragraph highlighting the positive side of Pakistan, and Pakistanis. We definitely have a large number of reasons to feel proud about our identity, much more than we can possibly list down. Excellent article..though I am from India but simply loving this article expressing the love for ones country.